Last month, thirty Senate Democrats -- members of the "climate caucus" -- stayed Up All Night on the Senate floor to speak out about climate change. This was an important moment to highlight the most critical environmental issue of our time. What was not mentioned however, was the massive threat to our planet posed by exporting liquefied natural gas (LNG) extracted through the increasingly controversial process known as "fracking." Yet legislation authored by one of their own -- Senator Mark Udall (D-CO) and a House bill by Congressman Cory Gardner (R-CO), would tear down barriers to the export of LNG, potentially spurring a massive increase in fracking, exacerbating the problems the senators spoke out against. Ever since the crisis in Ukraine erupted, the oil and gas industry and its friends in Congress have been pushing exports of gas. While many justifications have been offered to explain this push for LNG exports, in reality, this has nothing to do with lofty foreign policy objectives and everything to do with the oil and gas industry using a crisis to ram its agenda through Congress -- shock doctrine style. It calls to mind the Bush Administration's use of the tragedies of September 11 to justify invading Iraq, and the Obama administration's use of the mortgage crisis to bail out the financial sector. But let's be clear about three things. First, this push for exports has nothing to do with the crisis in Ukraine. Even if LNG exports approvals are fast tracked, there is currently no infrastructure to export the gas until at least 2016. This push reflects an industry agenda that existed before the crisis erupted in Ukraine, and under no circumstances can LNG exports help alleviate it. Second, once the infrastructure is built, U.S. LNG exports will likely go to Asia, where industry can fetch the highest price, not to Europe. The legislation under discussion would deem all exports in the public interest if the gas is sent to a member nation of the WTO. This includes most countries in the world, including China, India, Japan, Brazil and, ironically, Russia. The oil and gas industry wants these export approvals to drive up their profit margins by selling gas overseas, which ultimately will increase the price of gas for U.S. consumers. 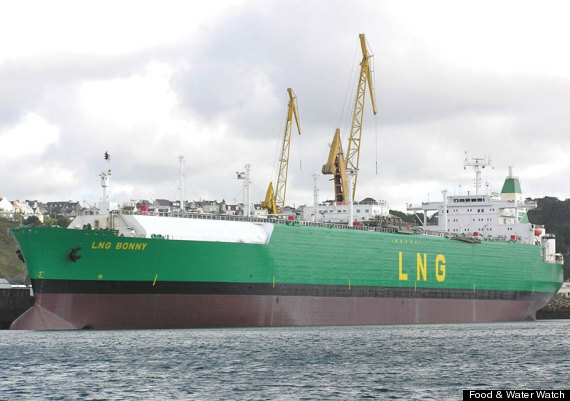 The move to export LNG is not about national security, but rather politics and oil and gas industry profits. In Colorado, this issue has become entwined with state politics and the battle over control of the Senate. The House bill to open up exports is authored by Rep. Cory Gardner, a Republican who is running for Senate from Colorado. Sen. Mark Udall, who is defending his seat against Gardner, authored the Senate bill. Republicans want to use this issue to their benefit in Colorado, and some Democrats hope the bill will protect Udall's seat, despite the strong and growing movement to protect communities against fracking in Colorado. But climate change, water pollution and the health and vitality of American communities should not be treated as a political football. There are many in Congress who have spoken out forcefully about climate change, but we are at a point of crisis, and we need more than talk. Senate leader Harry Reid and members of the Senate should take a stand against big oil and gas interests and for communities across the United States. They should say "no" to fracking and "no" to exports, and instead focus on investing in a truly renewable energy future. Tell your Member of Congress to oppose LNG exports here.